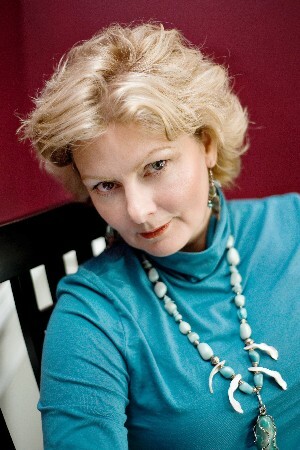 Faith Hunter, fantasy writer, was born in Louisiana and raised all over the south. Her Jane Yellowrock urban fantasy series features a Harley-riding, leather-wearing, Cherokee-Skinwalker vampire killing machine. The series begins with SKINWALKER, and continues with BLOOD CROSS, MERCY BLADE, RAVEN CURSED, DEATH’S RIVAL, BLOOD TRADE, and the upcoming BLACK ARTS. Faith's Rogue Mage novels - BLOODRING, SERAPHS, and HOST - feature Thorn St. Croix, a stone mage in a post-apocalyptic, alternate reality, urban fantasy world, and is the basis for the Rogue Mage roleplaying game. And under the pen name Gwen Hunter, she writes action-adventure, mysteries, and thrillers. Altogether, Faith/Gwen has 20+ books in print in 28 countries. Find Faith Hunter online at her website www.FaithHunter.net, on Facebook, Twitter, and Pinterest. While Black Arts is not my favorite cover I'm so excited that we finally get Beast on the cover. YAY! Which is your favorite cover in the series? I need to try these evidently. They are popular and I am going to admit that they weren't on my radar before. They are great on audio!! Next is Skinwalker because we get to see Bitsa at last. Beast definitely deserves a spot on the cover, and yes I agree with you, it's about time!! Urgh, I was going to start book 2 on audio but got distracted by Downside. It's your fault.